If Montenegro isn’t ringing a bell, that’s OK. This former Yugoslav republic didn’t command much attention on the tourist front until well after the fall of the Iron Curtain in 1991. But now independent, with a growing economy and budding tourism industry, the country is worth checking out. This is particularly true if you stoke out on exciting places beyond the beaten path that offer quick access to your favorite outdoor activities, sans the crowds and uber-expensive prices. Montenegro is experiencing a tourism boom of sorts. Travel now accounts for 9% of the country’s GDP, up from 6.7% just a year ago, and the natural beauty of this Balkan nation immediately tells us why. You can lounge over cocktails at the pristine beaches of Becici, on the coast of the Adriatic Sea, before heading north to summit the towering mountains of Durmitor National Park. Or do it the other way around and chill out on the beach after working up a sweat in the mountains. 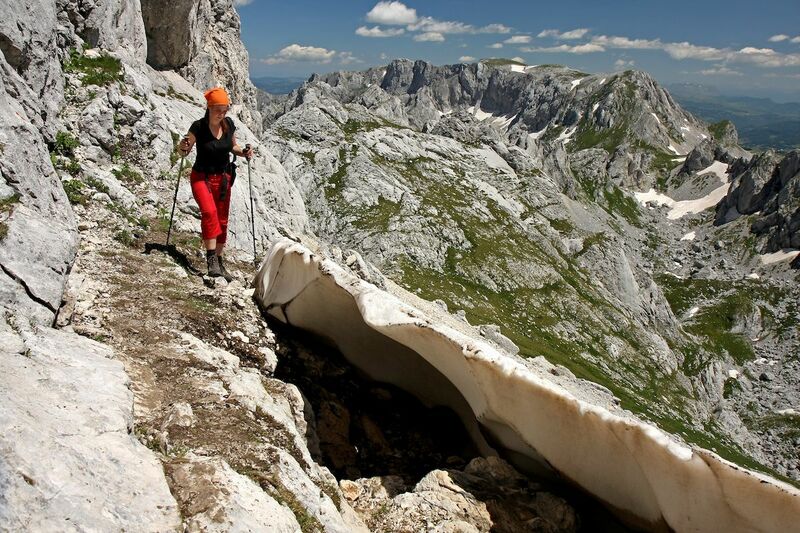 Montenegro should be at the top of your outdoor adventures list. Here’s how to enjoy it. The costs are as minimal as the crowds when compared to outdoors travel hotspots like Patagonia, Switzerland, and New Zealand, but the natural beauty and opportunity for adventure are on point. The country has two international airports, one in the capital of Podgorico and another in the coastal town of Tivat. From most western countries you’ll fly through either Istanbul or Warsaw into Podgorico. The drive between the two airports takes just over an hour and a half, and drive times between outdoor activities won’t take much longer. Driving from Tivat to Durmitor National Park, where many activities are based, takes just over three hours. It’s a small country, meaning you can pack a lot into one trip. When heading into the high country, use Durmitor National Park as your base. Skiing, snowboarding, camping, hiking, and rafting all happen either within or around the park in nearby towns, often Zabljak or northwest of the park near the border with Bosnia. 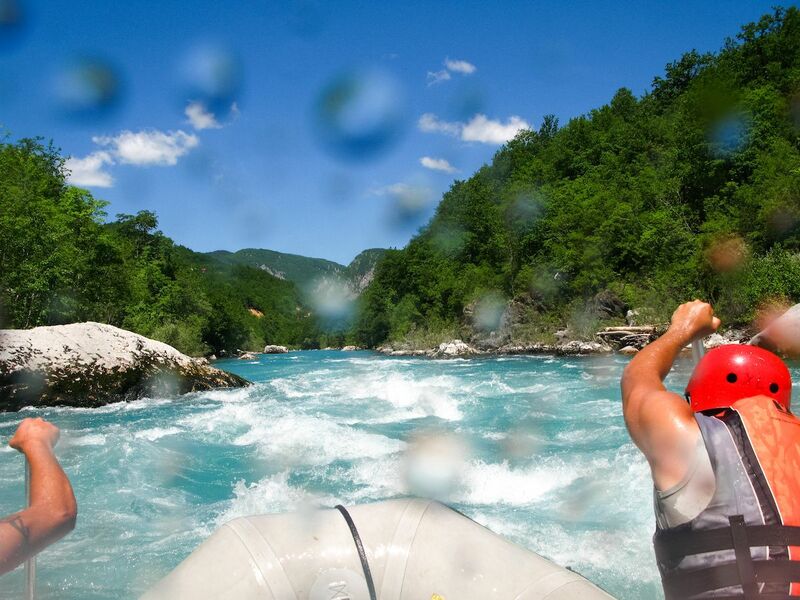 There are tour operators available for just about any activity you aren’t comfortable planning on your own, and they are the recommended way to experience the outdoors in Montenegro. Take the country’s beech forests from a different angle and get out on the Tara River from the town of Zabljak. You can jump on a raft and make your way down up to 40 miles of whitewater, spending one or two nights swapping stories by the campfire, with no one else around but you and your crew. Montenegro’s coastline is lined with scuba diving spots complete with just about everything you’ve come to expect in a good dive. 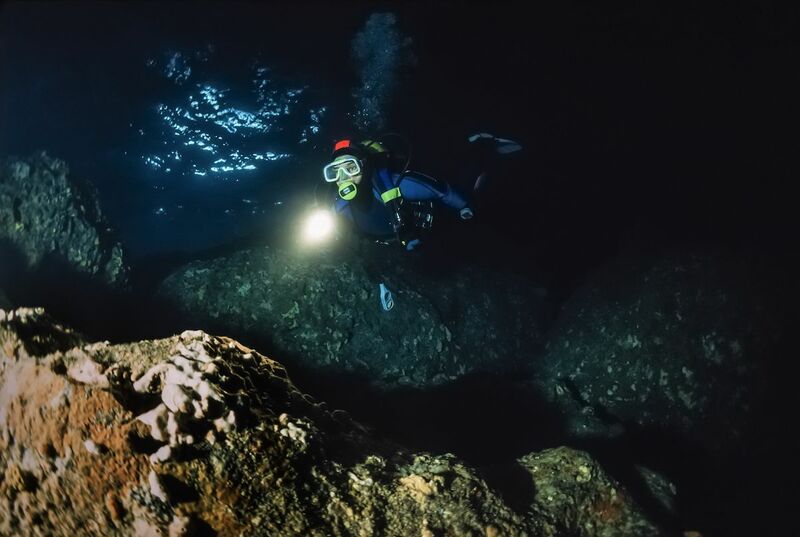 Dark caverns, limestone cliffs, crazy sea life — even the occasional shipwreck site. There are multiple options for tour operators, but Dive Montenegro offers trips up and down the coastline. 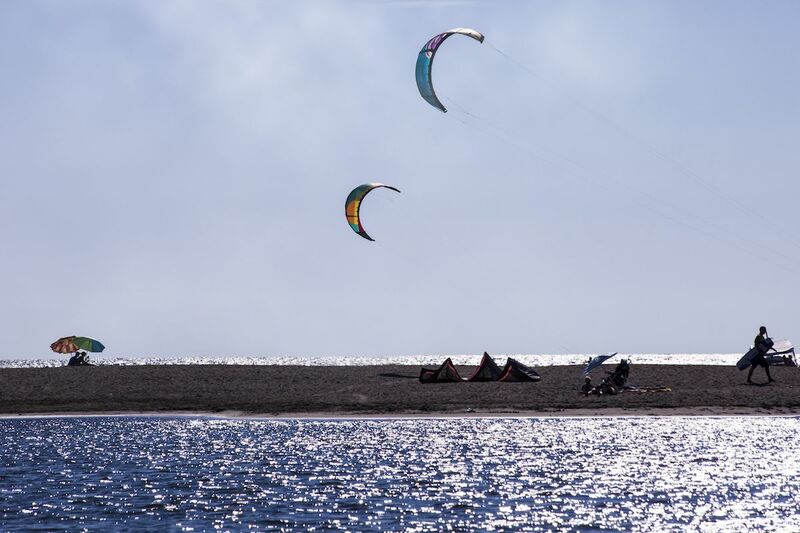 Kitesurfing is popular and readily available up and down the coast. The Adriatic Sea isn’t known for killer swell, but it can and does happen. When it does, Ulcinj is the place to be. There’s no coral or rocks to worry about, just sand underfoot. During summer months, typically from May through September, a thermal wind kicks up the water a bit in the afternoons and ripens conditions significantly. This coastal hike, located an easy commute from the towns of Kotor and Tivat, divides the bays that bear each town’s name. 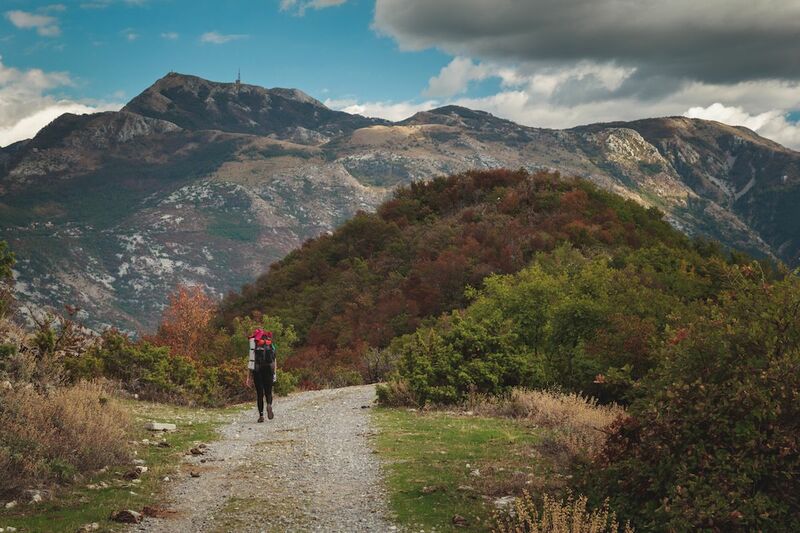 The hike is just under 6 miles (9 km) and starts out by passing through dense forest before climbing up above the trees and then descending down to the old village of Gornja Lastva. It’s not a loop hike — you’ll have to shuttle back to the start, unless you want to turn around — but the views of the coast and bays are unparalleled. 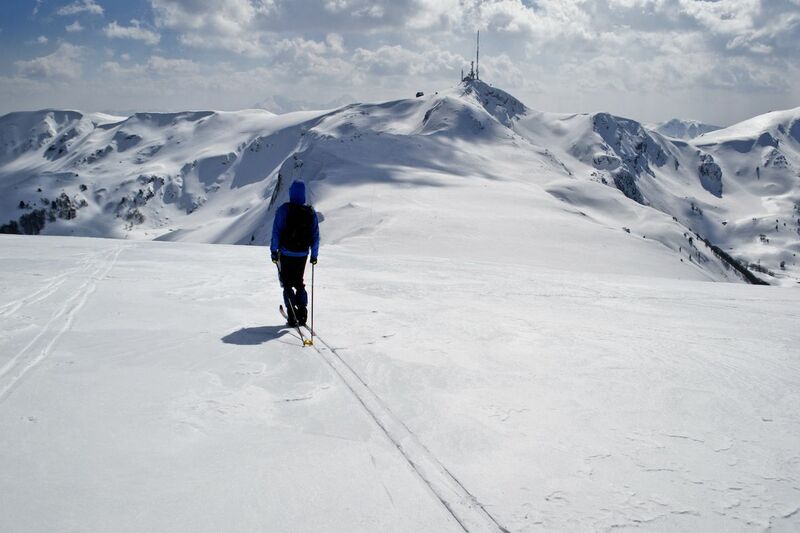 Montenegro’s high country boasts ski hills absent the crowds of Switzerland, Austria, or France. That means the powder is yours for the taking — but you’ll have to get up high to find it. The country’s ski resorts are located in the mountains of Durmitor National Park, with lift-accessed terrain typically open from December through the end of March. The season parallels that of the rest of Europe, but the resorts are more compact than those you’ll find in other countries — particularly the expansive, multi-village resorts of Switzerland. Savin Kuk, Zabljak, and Kolasin each offer wide open groomers along with ample above-timberline steeps for those seeking a challenge. The mountains and valleys of Durmitor National Park were cut by glaciers and today are home to some of Europe’s most beautiful lakes and forests, as well as the Tara and Peva rivers. Hikes are readily available throughout the park, with options for the serious trekker as well as shorter trails ideal for families and quick day hikes. But the real highlight of the park during the summer months is the Canyon of Tara, the largest canyon in Europe. As you look out over the gorge, take as many pictures as possible without losing your footing.